A Smartphone Dialer is a VoIP telephony application for smartphones such as iPhone, Android and Windows Smartphone. There are also versions available for Windows, Mac, iPad, tablets and Linux. With the increasing availability of Internet access, installing softphones on smartphones is ever more popular to bypass the exorbitant charges of making international calls often charged by cell-phone operators and to avoid roaming charges. 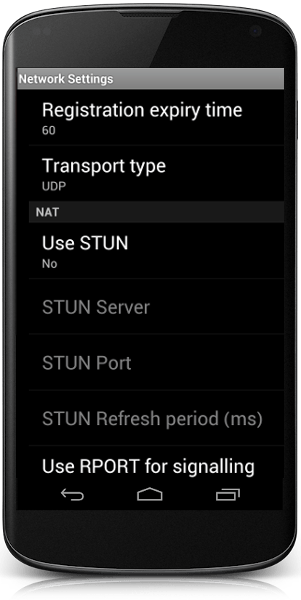 Calls are made via a 3G or wifi connection using a Voice over IP protocol such as SIP or IAX. Value for Money - Make international calls from any suitable Internet connection without paying roaming charges. Bring Your Own Device - Support for almost every smartphone, tablet and PC or laptop. Easy Provisioning - Phones can be installed and configured from a QR code or downloaded and configured manually. Flexible Feature Set - Add and remove features to either simplify the softphone or to add extra functionality. Branded – Softphones can be branded to your name and logo. 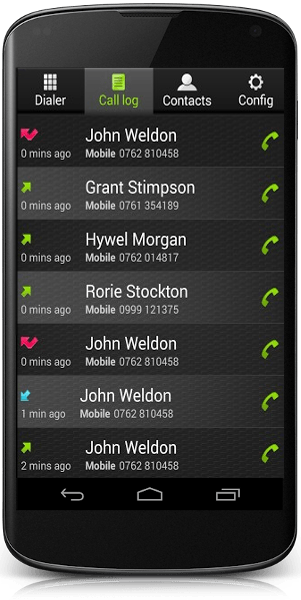 Contacts Integration – integrated with the address book for simple dialling. Auto-provisioning – Installed and provisioned via a QR code. Flexible Design – Flexible look and feel of the interface.